Media Newswire - Story - Sweet 16 Annuals. You can have a colorful, water-efficient garden even in the midst of a miserable drought. The key is to select annuals that don't require much water once they're established. Before you decide what to buy, consider a few other things. The key is preparing the bed. Well-tilled, amended soil holds moisture better than compressed soils. The water doesn't wick as easily from particle to particle. And the amendments can adsorb water and hold moisture. Compost and peat moss do this very well. The next step is to apply a slightly thicker layer of mulch. Usually, we recommend 2 to 4 inches of straw or bark chips in annual beds. In a drought, apply 6 inches. Do it carefully by hand, though. Don't bury or overwhelm the annuals. One technique is to apply 2 to 3 inches of mulch over newly prepared beds. Plant the annuals through the mulch in staggered rows. Then apply the next 3 inches of mulch between the rows. As long as you don't level out the mulch between the rows, it winds up forming a cone-shaped area the annual can grow into. By midsummer, rain, wind or irrigation will level things out without suffocating the now established annuals. The increased layer will reduce soil temperatures and cut moisture loss due to heat- and wind-driven evaporation. The result: plants will grow fairly well, with much less water, even in 100-degree heat. Fertilize as you would normally. But consider using soluble fertilizers. These are mixed with water and applied with a hose end sprayer. At half the rate suggested on the package, your annuals will grow superbly. Plant your annuals as soon as is possible. All bedding plants need about three weeks to get new roots established and should be in the ground by June 1. During the first three weeks, water only when the plants begin to sag or look wilted. As the weeks go by, water less. After about five weeks, for example, don't water at the first sign of sagging. Wait a few hours or even until the next day. Finally, when you do water, water thoroughly to encourage the roots to grow deep. In tilled, mulched soils, moisture tends to be just above the untilled hardpan. If roots can reach this zone, the plants will do well. Now, for the best annual color in hot, dry and very sunny places, choose from this "Sweet 16" assembly of drought-tolerant annuals. Tithonia rotundifolia (Mexican sunflower) grows to 10 feet tall, and swallowtails love it. Try "Torch" or "Fiesta." Helianthus annuus (sunflower hybrids) offers so many choices! They're grown from seed, and birds love the seeds in the fall. Cleome hassleriana (spider flower). Grandmother used these tried-and-true flowers. Sow seeds in dense colonies. Cosmos bipinnatus (summer cosmos). Seed as early as possible. Dwarf 15-inch and tall 36-inch varieties available. Inexpensive seed almost fail-proof if kept moist. Melampodium paludosum 'Medallion' (medallion plant). Sometimes called "Mother of a million," it produces a 4-foot mound of gold by September. Celosia cristata (cockscomb). Pinch plants just after transplanting for awesome summer color. Plant on 4-inch centers. Catharanthus roseus (common bedding vinca). Low fertility and 6-inch centers are best. Pacifica and Cooler series do well in Georgia. Lantana camara (common mounding lantana). New Gold is the all-time favorite. There are dozens more. Alternanthera dentata (purple calico plant). It's new. Huge, purple, dense foliage forms a spectacular bush. Wave Hill is the best. Verbena tenuisecta (moss verbena) grows effortlessly if established early. It can be grown from seed in fall. Asclepias currasavica (bloodflower) grows to 4 feet tall and attracts butterflies. Monarch caterpillars grow well on it. Mirabilis jalapa (four-o'clocks) is an old-timey, shrub-like annual that doesn't fail. Plant on 1-foot centers. Zinnia liniearis (creeping zinnia) comes in orange, yellow, cream and white. Plant on 4-inch centers. Duranta erecta (pigeon berry) forms a 3-foot shrub with sky-blue or white flowers followed by yellow berries. Swallowtails love it. Plumbago auriculata (common plumbago) must be established in May. It grows slowly. Give it room -- it spreads to a 3-foot circle. Gompherena globosa (globeflower) has purple, pink and other colors of pincushion-like flowers butterflies love. Grows tall. Pinch plants. Then mulch. Paul Thomas is a horticulturist with the University of Georgia College of Agricultural and Environmental Sciences. 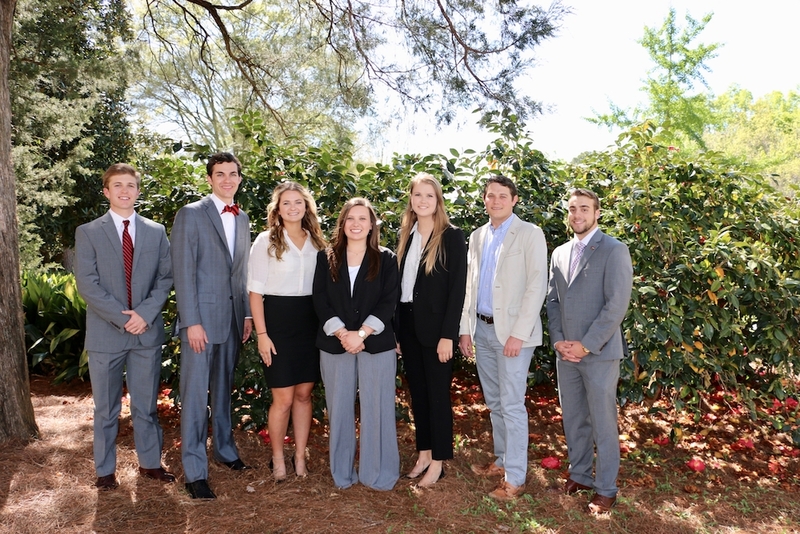 Seven University of Georgia College of Agricultural and Environmental Sciences (CAES) students will call the nation’s capital home this summer while serving as CAES Congressional Agricultural Fellows. 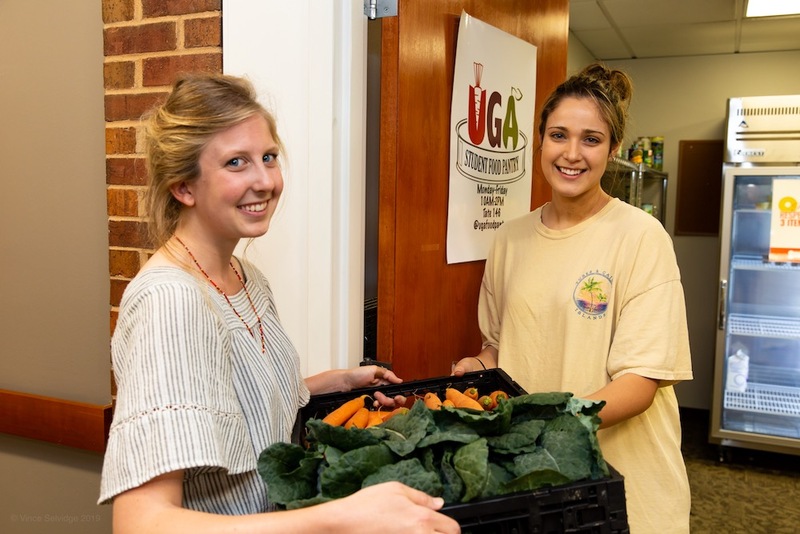 Food insecurity is an issue among college students that is rarely discussed but all too common. With limited funds or inconsistent income streams, some college students may have to choose between paying rent and buying groceries. 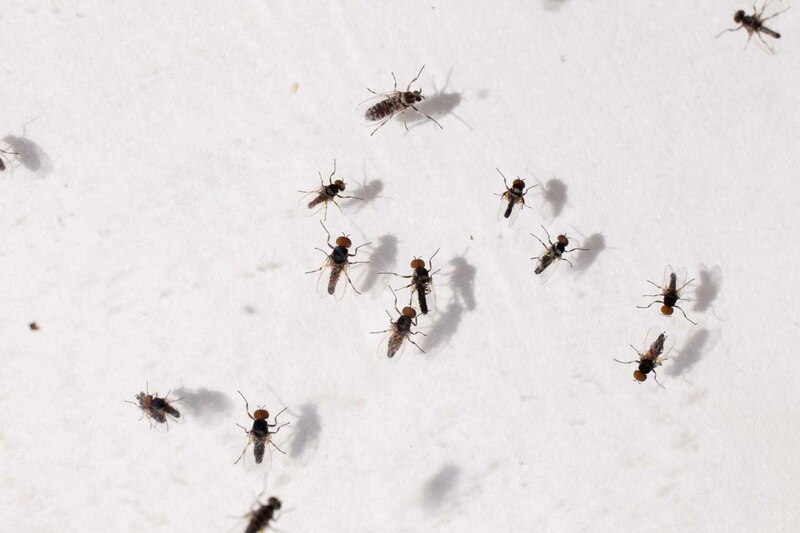 One of the best things about living above the fall line in Georgia has always been the lack of gnat swarms, but that seems to have changed this spring. 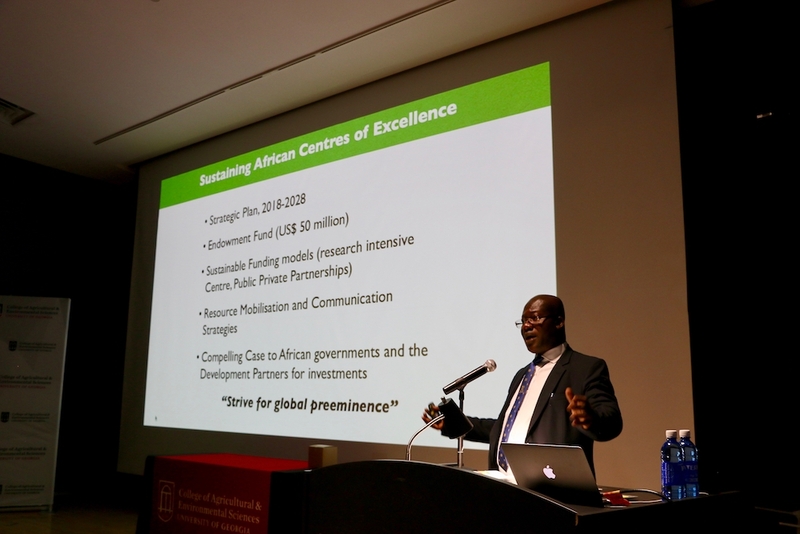 Since its inception in 2007, breeders at the West Africa Centre for Crop Improvement (WACCI) in Ghana have produced 23 new varieties of corn, seven new varieties of peanuts, 11 new varieties of rice and seven new varieties of sweet potato. 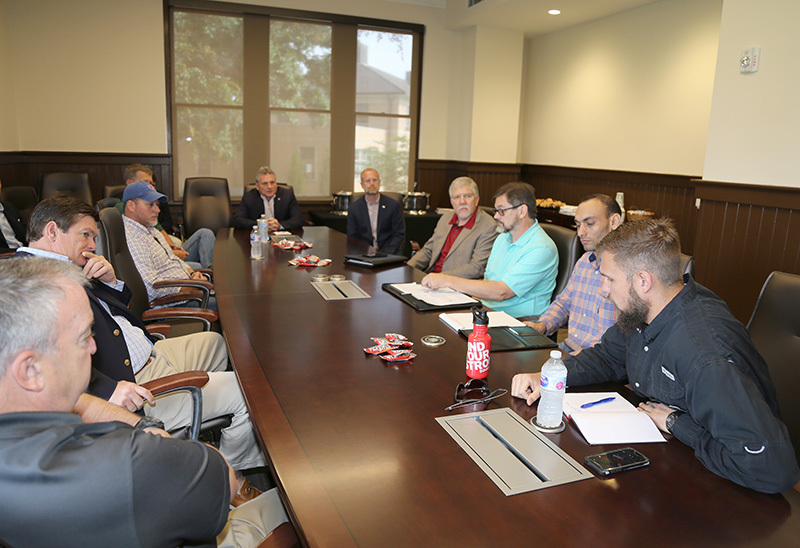 Georgia farmers have technological advancements at their fingertips but many are not able to use them to their fullest extent due to the lack of broadband internet access, according to Wes Porter, University of Georgia Cooperative Extension precision agriculture and irrigation specialist. 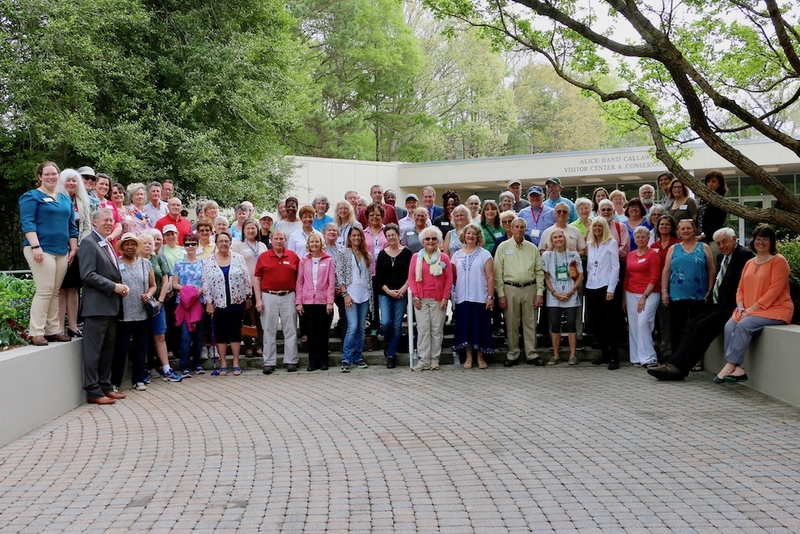 For the past 40 years, Georgians have been helping their friends and neighbors build better landscapes, plant healthier gardens and protect their local ecosystems through the University of Georgia Master Gardener Extension Volunteer program.